Thankfully, it’s becoming easier every day to find books and other materials that help us to be gospel-centered teachers. I’m even having trouble keeping up with it all! 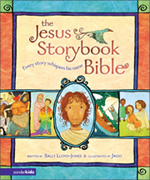 The whole theme of this Bible story book is discovering Jesus. There’s something of him to see in the telling of every single story, starting with creation and all the way through to the worship of the Lamb on the throne. 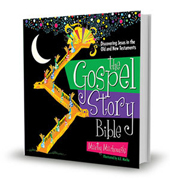 Already a classic, this highly readable and kid-friendly book masterfully tells each Bible story and also shows how that story is part of the Bible’s big story about the Savior. 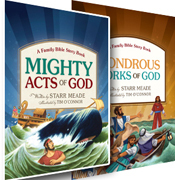 These books consistently emphasize how God is at work in every Bible story. Each story also includes family discussion questions and activity suggestions. These are ideal books for a parent who wants to start doing family devotions but isn’t sure how to begin. Each devotional will get your family reading and discussing the Bible, thinking about God and salvation in Jesus—and finished in about ten minutes. This collection of modern-day stories about kids is relentlessly grace-driven. It shows how the work of Jesus for us and in us changes how believers live. If you and your family are ready for a deeper, systematic examination of Christian life and doctrine, the Reformation-era catechisms—written in question-and-answer format—are excellent guides. The Heidelberg is my favorite for its warm tone and constant reminders of the benefits we enjoy in Christ. I recommend printed booklets with Bible references included, but you can also find the catechism online. G. I. Williamson’s Heidelberg Catechism study guide is a great companion resource. These studies will give you a well-rounded, challenging exploration of what it looks like to live out the truth of the gospel. 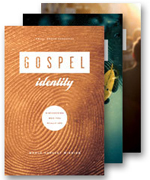 These are introductory-level, small group studies on how the gospel shapes every aspect of life. This new study Bible contains introductions, articles, and notes that help you see how the Bible is one message culminating in Jesus, and how that grace of God transforms believers at the heart level. Marshall’s book is a centuries-old classic on how holiness flows not from self-effort but from being joined to Jesus. It may well be the best book on holy living ever written. Unless you’re very comfortable with 17th Century English, get Bruce McRae’s modern English version. 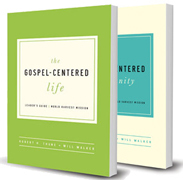 For a brief book, this is an extraordinarily clear, thorough, and encouraging summary of how the gospel motivates Christian life—highly recommended as a gospel-living primer. 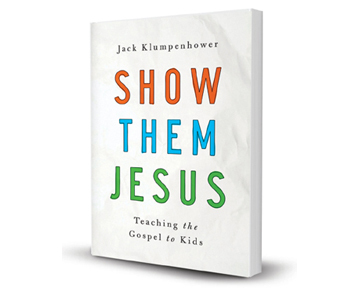 This book takes parenting beyond rule enforcement and will help you practice a gospel approach that aims at kids’ hearts. Look for follow-up books and related resources as well. Most families try to be moral. But Christian families look constantly to Jesus and rest in his grace. This book is about building that sort of different family—a grace-soaked one. Okay, it’s written for preachers. But it presents the basics of how to teach the Bible with your eyes on Jesus and on the gospel rather than on mere behavior modification. Anyone teaching Bible lessons can benefit from it. 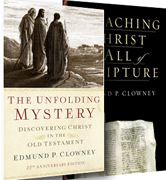 Clowney was both a brilliant student of the Scriptures and a deeply devotional teacher. His approach inspired many of today’s Christ-centered teachers, and these books contain moving meditations on a few dozen Old Testament Bible stories. If only there were more! Geidanus is the master of methods for tracing a path to Jesus from an Old Testament passage. His books are written for preachers and so they're a bit technical, but anyone who teaches the Bible can benefit from learning his methods. 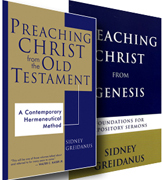 The Genesis and Daniel books contain examples of how to teach Jesus from specific Bible stories. This study Bible contains tons of helpful notes and articles, but one of those articles, History of Salvation in the Old Testament, is an absolute gem as a seeing-Jesus reference aid. It goes through every chapter of the Old Testament and gives a brief note about that passage’s role in preparing the way for Christ. This may be the best whole-Bible commentary set ever written by one guy. It’s still popular today, more than 300 years after it was completed. In a way typical of the Puritans, Henry delves into every topic the Bible brings up without ever letting the gospel be forgotten for long. The language is a bit old, but it’s still remarkably readable and contains gem after gem of Christ-centered insight. 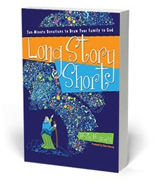 This book doesn’t show how to take Old Testament stories forward to Jesus very often, but it does an excellent job of setting those stories in context and focusing on what God is doing in a story rather than on moral lessons based on human characters. Plus, it’s written specifically for teachers of kids and teens, in an easy-to-use handbook style. Edwards’ classic work on this topic is still a superb guide to Christ in the Old Testament. If you can handle wading through its older language, this is a must-read. As a bonus, you can read it online. You’ll want more than a brief review if you’re picking out curricula, but these are some gospel- and Christ-centered choices to consider. In addition to these, I’m part of a team that’s finishing work on a gospel-centered discipleship curriculum for tweens and young teens. I should have more information about that before the year’s end. I am looking for a gospel centered conference for children’s ministry leaders. Any ideas? I wish I knew of one that was intentionally gospel-centered, but I don’t. Children Desiring God may come closest. They strive to be God-centered, which is close to the same thing and far better than a lot of the other options. I’ve listened to several of the talks from their past conferences and have usually found those helpful. Sadly, CDG isn’t doing a conference this year, but their website says they hope to put one on again in the future. Some other conferences may have gospel-centered elements. I’d like to keep an eye on this year’s Lifeway Kids Ministry Conference and see what their speaker lineup looks like once they announce it. Usually, it’s pretty decent. And children’s ministry leaders could do worse than to attend a Gospel Coalition event. Even though those aren’t specifically for children’s ministry specialists, they get us thinking about the gospel and that’s good. I plan to be at the TGC conference in April, just because it’s a great place to network and learn. Finally, I’m preparing seminar material and hope to begin doing more speaking. When those events get set up, I’ll be sure to post them on this site. Can I add “Gospel Centred Family” by Tim Chester & Ed Moll, to your list of resources, under parenting & teaching ? The link below includes reviews from others so don’t just take my word for it! Christa, I like that book enough that I’m happy to have your recommendation here as a comment on this page. I would recommend it to a parent who I thought felt secure in Jesus and wouldn’t end up feeling guilty about what they failed to do. The book presents strong, biblical principles based on a robust understanding of the gospel and all of God’s Word. It really is a very good and helpful book in that regard. 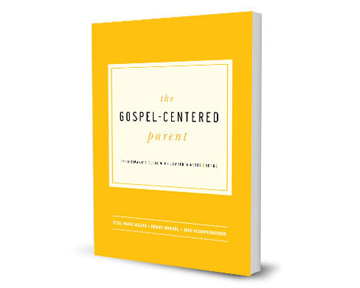 I might hesitate, though, to recommend it to a parent who was feeling overwhelmed or guilty about parenting failures, or to a parent who might take pride in doing parenting according to the perfect, godly plan. Although the book wisely acknowledges those struggles, there are other books I’d more quickly recommend to parents who struggle in those ways. Are there any VBS publishers that you recommend? We always edit ours to make them have a gospel focus. Sadly, A LOT of editing is needed. I’m wondering if there is a specific publisher you would recommend. Hi Jack! I’ll soon take on the role of children’s ministry director for our small Spanish-speaking church plant. I’m so grateful for Show Them Jesus, and everything you have here on you’re website; I can’t tell you how helpful and edifying it’s all been. As I’m preparing to take on this role and praying about everything from practical organization, central values to partnering with parents; I’m finding myself overwhelmed. I’ve been combing the internet, and as of course you can find many good resources for pastors, elders, church planters, youth leaders, etc. that discuss really practical elements of ministry; I’ve barely found anything comparable for children’s ministry (or something regarding family ministry or Christian education). Of course the Lord is in control, children have been raised and disciples have been made long before our time of the internet and endless resources, and what really matters is the gospel and the Bible. 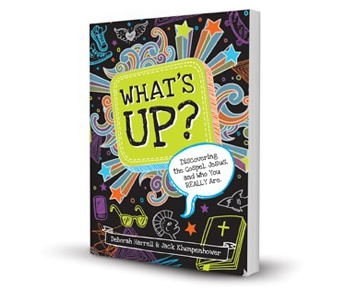 But with all that said, are there any resources/books beyond the ones already mentioned that you would recommend to a new children’s ministry director? Running a ministry is not quite my chief expertise (administration is a very different job from teaching) but I will give you a handful of thoughts. First, I like what Timothy Paul Jones has done with his Family Ministry Field Guide. It’s about a particular ministry model that emphasizes equipping parents, and maybe that’s not what you’re looking for, but I will say that I generally like his ideas. Of course, I would urge you to make your church’s ministry about showing kids Jesus rather than entertaining them or building a program that looks impressive. But I recognize that you will have administrative issues such as volunteer recruitment, security, communications, etc. to learn. How close are you to Chattanooga? If you can afford the time and money to attend the annual CPC conference, even just once, you could take the seminar track for new children’s ministry directors. I haven’t necessarily appreciated all the speakers at the CPC conferences, but the collection of resources and information there is second-to-none. Since you’re already learning from the Internet, I think that’s about all I have to offer. Hey there. Any chance that Show Them Jesus could be translated in the near future? Gracias and blessings from Spain. ah! I meant, in Spanish! Sorry about that. I don’t know enough about the translation and publishing process to say how a decision like that would be made. But it’s a question I’ve been asked before, so I think I’ll ask my publisher. If there’s any news, I’ll be sure to report it here. I also would love to see this book translated into Spanish. I am a missionary working in the Latin countries. In their culture, and especially taught in the Catholic church, works are everything. This book would break through to them. I teach what I can, but I think your book would be transformative in the Spanish culture. I understand it is a big undertaking, but one I hope you would consider.